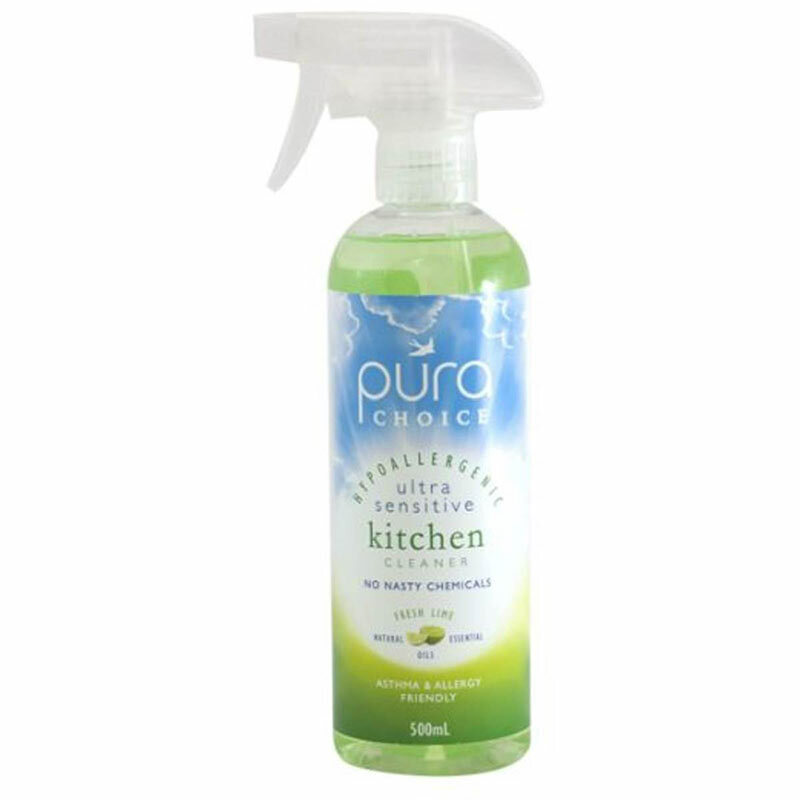 Pura Choice Kitchen Cleaner is ideal for asthma and allergy sufferers. It is low in VOC’s (basically nasty fumes!) making it less likely to trigger asthma. Septic & Grey Water Safe. No Ammonia: Gentle to the eyes, nose and lungs. If you or family, suffer with asthma or allergies, then PuraChoice is the only choice when it comes to cleaning your home. It has been specifically designed to give you that sparkling finish while being kind to you and the environment. It is made with essential oils and plant-based ingredients that do not aggravate sensitive skin, allergies or asthma. Spray surface and wipe with a clean, damp cloth or towel. For built up deposits, spray surface and leave for 2-3 minutes, then clean as normal. 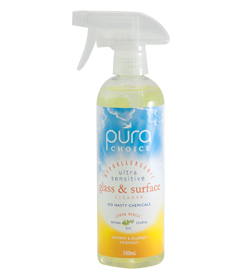 Pura Choice Glass and Surface Cleaner is the only Asthma and Allergy friendly cleaner on the market. It is safe for people and for the environment. Pura Choice Bathroom Cleaner Pink Grapefruit is a non-toxic, low allergy, asthma friendly & eco-responsible cleaning product. It is low in VOC’s (basically nasty fumes!) making it less likely to trigger asthma.